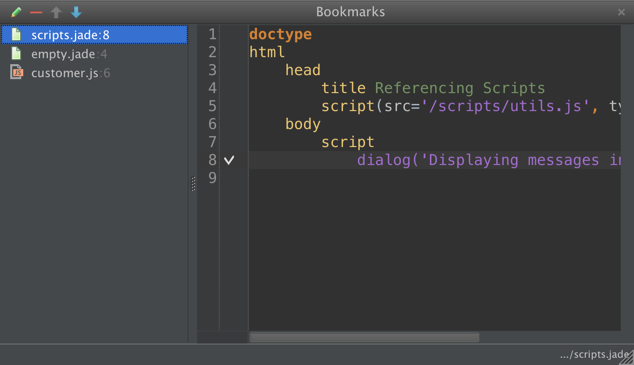 I often come across people complaining about some odd behaviour when it comes to editor tabs in IntelliJ IDEA or any of the other sister products such as WebStorm or PhpStorm. Some expect a different kind of behavior from tabs. 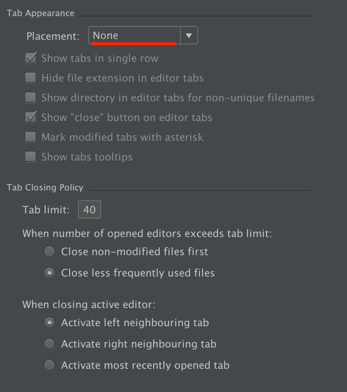 Others want the ability to have different colored tabs and some want them numbered. My advice to all of them? Switch tabs off. You don’t need tabs. That’s taking up realestate and it’s not providing you with much value other than confusing the hell out of you when you’re looking for that specific index.html file and there are a few of them open. 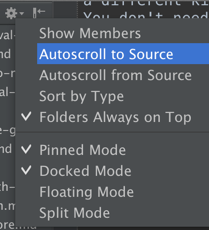 And when you want to navigate to the different tabs, you either have some shortcut key assigned to loop through them or you’re using your mouse! But, how do I move back and forth? If you want to find a type, Cmd+O. If you want to look for a symbol, Alt+Cmd+O. Or you can just press Shift twice and get Search Everywhere. 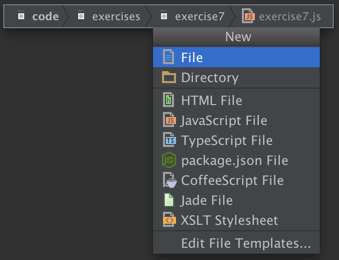 Noticed how Search Everywhere by default lists Recent Files? If you want to move back and forth between where you are and where you just were: Cmd+[ to go back and Cmd+] to go forward. 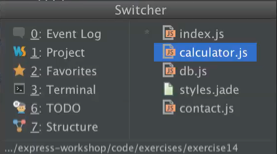 Of course, if your current and previous position is in different files, it will also go back and forth between them. 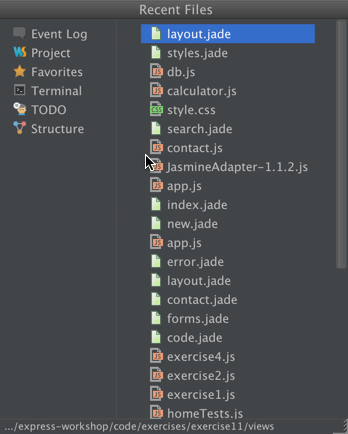 And remember, you can even invoke the New File Command with Cmd+N (only way you should be creating files, packages and folders) on the Navigation bar. It’s context-aware. 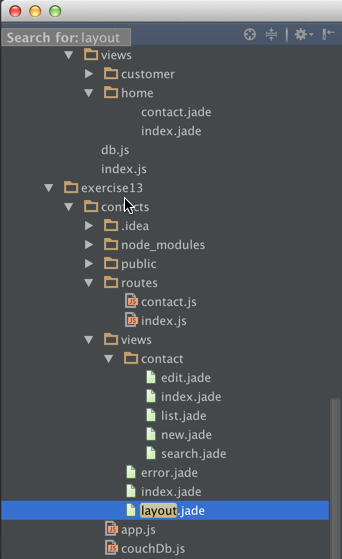 As you can see, there are many ways to navigate a project inside IntelliJ IDEA that doesn’t necessarily include having to look through a list of tabs and figure out where you have to click next. 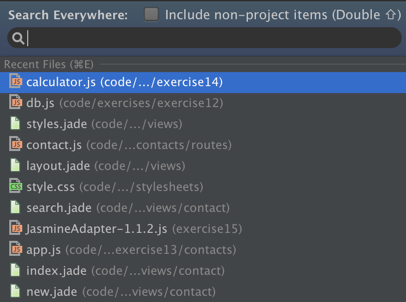 No Tabs in IntelliJ IDEA was published on June 24, 2014 by Hadi Hariri.